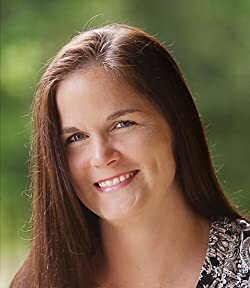 Becca Jameson currently lives in Atlanta, Georgia, with her husband, two kids, and the various pets that wander through. After editing for about five years she recently started writing. She is loving the journey, dabbling in various genres. Please enter your email address and click the Follow button to follow Becca Jameson! Control… Lose it, and you might find yourself frostbitten. Adonia has been isolated from society her entire life. Banished from her pack for crimes committed before her birth, she lives a solitary existence with her mother in the wilds of Siberia. Trusting Aaron is the fifth book in the Club Zodiac series. It features Aaron, an employee fans have met several times in books two and three. I have a heroine in mind. I think I'll just keep that to myself for now! Stay tuned for more information as I bury myself in my writing den and make the magic happen! ***This book was previously published in Amazon Kindle Worlds*** It’s been fifteen years since Sofia Leskov’s heart broke. Sure, she was only twenty, but she was an adult, fully capable of making her own decisions. She knew her heart, and Roman Stasevich had burrowed his way into it for good. Reviving Olivia is the seventh book in the Project DEEP series—Olivia, Damon, and Spencer’s story. Official blurb coming soon! Reviving Bianca is the sixth book in the Project DEEP series—Bianca and Grayson’s story. Official blurb coming soon!